This week I attended a business conference where I was the only woman. As soon as I realized this, I felt an immense pressure to "represent" my gender; a sense of responsibility to be the symbol of female entrepreneur achievement. and I think a lot of people feel this way about being vegan. "Do you ever feel like you're a bad example of veganism?" is a question that bubbles up shyly in the member forums sometimes. Usually the poster notes s/he feels this way because s/he is overweight, or s/he doesn't live on chia seed & kale salads, grow their own vegetables and go to yoga. I totally get it. I felt that way when I was first vegan, too. I was shy about telling people, not just because I was nervous about potential teasing or negative reactions, but because I wasn't all that confident in being vegan. I was making mistakes daily and I still had so much to learn. I knew there would be questions I couldn't answer (or answer well). I didn't have a substantial historical record that I could hurl against the "this is just a phase" dismissal, and partly because there were always people online telling me I wasn't vegan enough. I didn't want people to use my body to measure the validity of veganism either. When I first went vegan, I didn't look like the picture of perfect health. I also knew I wouldn't look that way for some time, and if I was no "after picture" yet, did I want to say I was vegan? Wouldn't my imperfect representation be damaging? Nor did I feel like I had to run X amount of races, have a certain physique, or run 5-minute miles to 'earn' the "runner" title. Same with snowboarding. I have always felt confident saying I was a snowboarder, even when I was barely getting down the mountain in one piece. Why did I feel confident saying I was a "runner" but not vegan?? Because runners and snowboarders aren't UNDERREPRESENTED. If you find yourself in the minority, you will feel a pressure to represent. For most of us, being vegan is being in a minority, not just because vegans are a global minority, but because we (as individuals) are often the only vegan or vegetarian in our peer group and community. We become, by default, the vegan representative to our friends, family and coworkers. Of course that makes us feel uncomfortable. 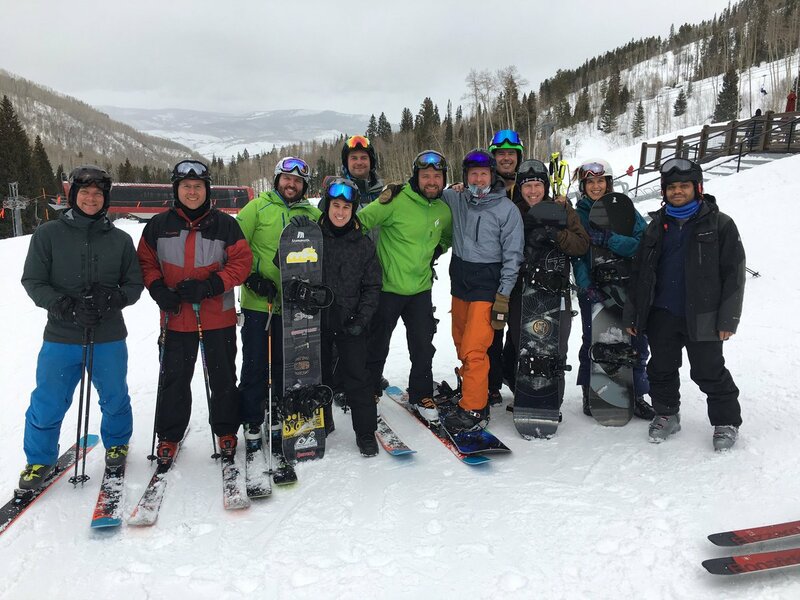 Circling back to the conference, on the very first day, several of us decided to hit the slopes together before the first lecture. "I better "keep up" with them. I have to prove I am equal. That girl snowboarders are just as good as boy snowboarders." It's terrible that I had these thoughts. #1 Be transparent and admit you don't have all the answers. Admit you may not be the best example or the most informed. "I'm a slow runner" (without apology). "I'm new to this but..."
You can help pave a path without expecting the path you lay to be a highway. Leading by example doesn't mean you have to be perfect. The less perfect you are, the more relatable you are. It's great to inspire people and the best way you can do that is by being REAL. People can smell the bull. #2 Know that the success of the group you're representing does not fall completely on your shoulders (even when it feels that way). #3 There is no PROVING Proof. You have no way to know if you actually "proved yourself." For example, I have no real way of knowing if those guys cared (or noticed) that I kept up with them on the slopes. I can't gather objective facts that definitively tell me I impressed them, or if they saw me as an equal based on my presentation and/or my snowboarding maneuvers. More importantly, I did't go to this conference to prove anything !! Nor did I go vegan to prove anything. Being the lone female isn't new to me. I attended this business conference last year as well and was the only female speaking and in attendance then too. Even at plant-based conferences, I find I am one of the few female speakers. The speakers tend to be mostly white males, but I've noticed (and appreciated) how the folks behind the Remedy events aim for a very diversified lineup. As for the guys in the photo: They treated me as an equal peer. It wasn't a "boys club" either year and I never felt like I was treated differently. What I love about my online business entrepreneur community. Don't try to live up to someone else's definition of vegan or their standards of perfection. Those are their standards, not yours (more on this topic). Using someone else as a measuring stick isn't helpful or accurate. That would be like me using Shaun White as the snowboarding standard. If I measured myself against White, I would never be "a snowboarder." Yet I AM a snowboarder and that's the point: Not all snowboarders are going to be as awesome as White, look like White, or ride like White. In fact, one of the reasons White IS so famous is because he did things on a snowboard that hadn't been done before. He shook things up, so if we stayed captive to one viewpoint or definition that could never evolve, White couldn't call himself a snowboarder either (perhaps I'm getting too philosophical now). There is no divine image, no Shaun White standard. Vegan is for everyone. And vegan looks different on everyone. On my flight to Denver, I read "Between the World and Me", which is a terrific book—a bold exploration of America's racial history. (It was the perfect non-fiction follow-up to Small Great Things, which I finished the day before). Here are two quotes I'd bookmarked on the plane that started ringing in my ears as I was writing this post and grappling with my need to "represent" at the conference.